If you want to avoid receiving four crystal carafes and six coffee services, it’s best way to create a wedding registry. And today it is really possible to imagine a list that looks like you. With the help of cash gift registry, today I share what you need to create your wedding registry. A wedding registry is a list of gifts, physical or online, sent to your guests to help them in the gift selection for your wedding. You recover either the gifts themselves or the amount of their value in your list, amount that you can then spend at your leisure. Those who do not wish to make a wedding registry will choose, for example, an urn made available on wedding day, or for a donation to a charity. Today there are several wedding registry formulas. A registry allows you to establish a choice of objects which you needed or wish to accept from your guests. 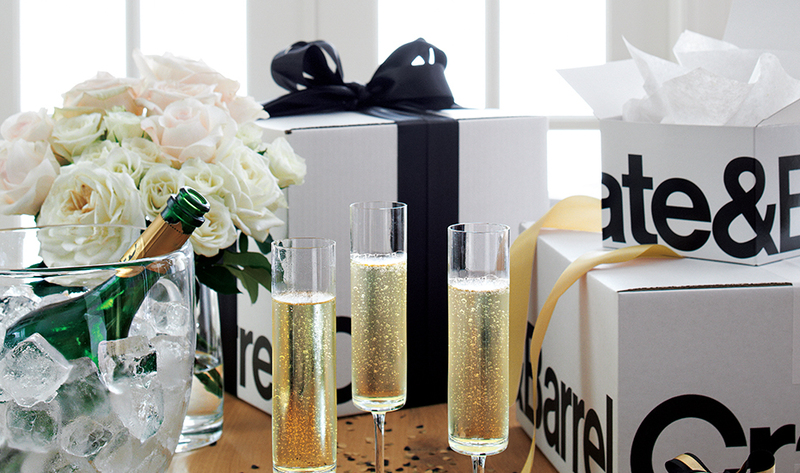 Your guests will be able to go directly to the store to choose the gift they wish to offer you. The inconvenience, they will have to move, and your guests living abroad may not have access. An online wedding registry offer different options for collecting gifts. You can create a virtual gift list and the total amount of donations is directly transferred to your personal bank account for a commission percentage. Your wedding registry can also take the form of a credit card or a common bank account to facilitate your purchases and their follow-ups. You can, for example, select your favorite items and products from a list of partner shops, and after the wedding make your purchases in these stores with discounts, with the payment card dedicated to your list. Last option, you freely select the items on your list and once donations collected from your guests, you repay (partially or in full) the amount received in the partner bank of your choice that will pay for you. In short, the online wedding registry offers enough options to stick to the maximum wishes of couple. To prepare your wedding registry with confidence, start it approximately 4 months before the wedding day and take the time to consult the various offers. No need to take too much in advance. The ideal is to launch this one just after the sending of your invitation cards, to give the time to your guests to choose gift which they will really like to offer you. And do not hesitate to leave it online after your wedding. With an online list, latecomers can give you their gift, even at the last minute. If you have chosen to open a traditional wedding registry in store, simply give the name of the sign to your guests so that they can go to the store and choose your gift. If you have opted for an online wedding registry or gift registry, simply share the personalized URL of your list with your guests by mail to those who ask you, or via your wedding blog. This is the most flexible option, and is being increasingly used by couples today. You can add what you like to your list such as Furniture, dishes, linens, excursions of your honeymoon, wine or jewelry. However, be sure to offer gifts for all budgets to please all of your guests and not make anyone uncomfortable.